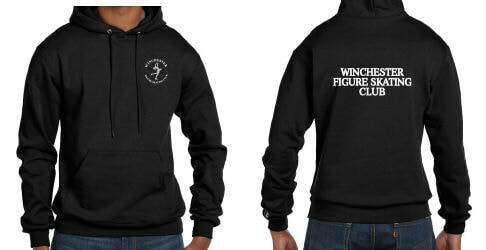 Champion hoodie in black with WFSC logo at chest and "Winchester Figure Skating Club" on the back. Youth and Adult unisex sizes. Jogger pants in black with WFSC logo at top. Club jacket, black with blue trim. 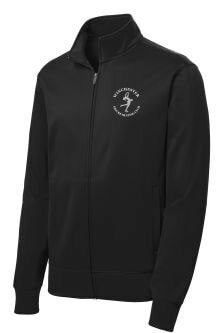 The youth jacket is all black, has a classic jacket styling, with a smooth exterior and light fleece lining.